Synonyms have very similar meanings to each other. 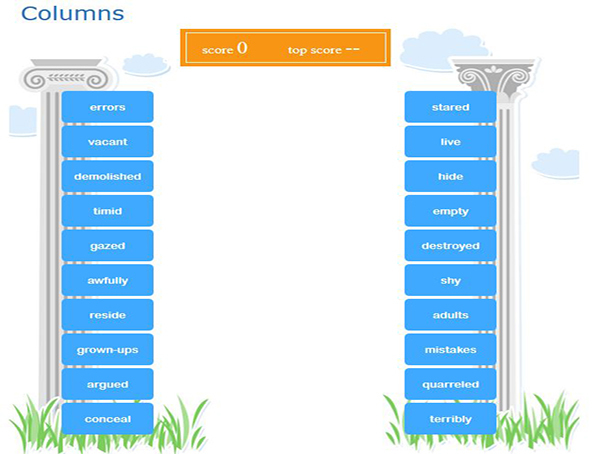 This game tests your vocabulary knowledge by asking you to draw a line between matching items in each column. The green line will only show up for correct matches.